Merci de votre visite sur notre nouvelle page où vous pouvez jetez un œil à notre plus récente presse internationale. si vous êtes prêt à réaliser votre rêve d’un nouveau design, nous aurons le plaisir de vous le consevoir. Miami Vice: Maison &amp; Object Americas returns to Miami Beach for a second year! South Florida Home: Creative treatment of the walls in this condo sets an elegant tone for the rest of the design. Bohemio: Aso es el Allure de Primavera. Mas Diseño en Miami! Maison&amp;Objet regresa a Miami Beach del 10 al 13 de mayo para su segunda edicion. 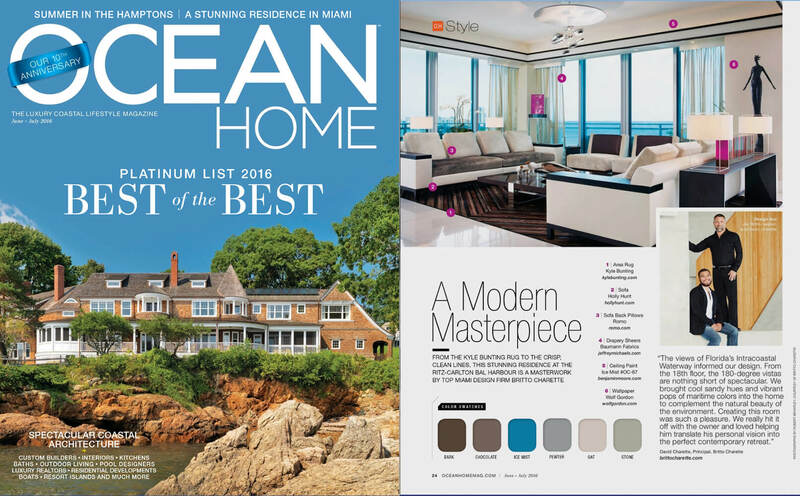 Modern Luxury: The latest decor, expert tips &amp; enviable designs for seamless indoor/outdoor living. Kyle Bunting introduces the Facetta Stool, a design collaboration with Britto Charette. En Miami, el hogar de los diseñadores de interiores Jay Britto y David Charette plasma su estilo y les permite experimentar sin límites. Luxurious Home Fit for the Family. Bal Harbour Ritz-Carlton Residence. 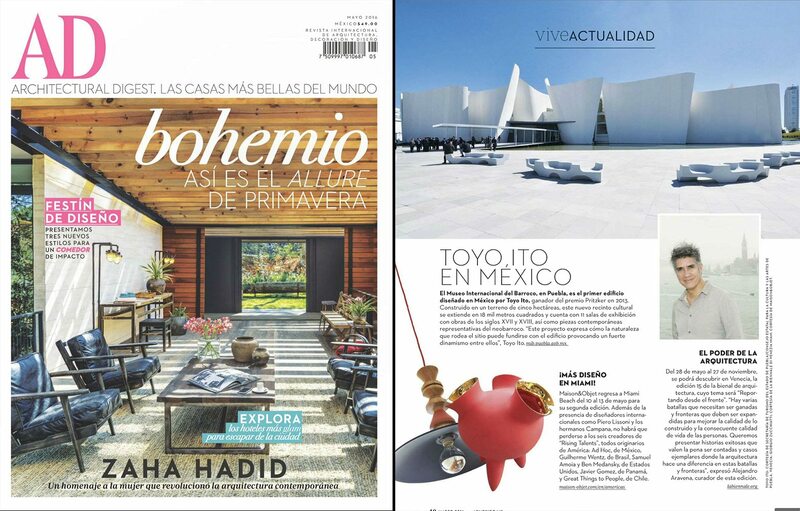 Britto Charette featured in Lima magazine from Peru. Britto Charette is launching a new line of luxury furnishings and Wasi porcelain at the fair. Dazzling Waterfront Views Hottest Furniture Trends. La Bahía del Callao en su máximo esplendor. A Modern Masterpiece. From the Kyle Bunting rug to the crisp, clean lines, this stunning residence at the Ritz-Carlton Bal Harbour is a masterwork by top Miami designer firm. Magnificent Waterfront Mansions. World-class Art Shows. Modern living with traditional structures make up this gorgeous home in Florida. Striking Miami Beach Home with a Breathtaking View. A Touch of the Tropics. Furniture Shows Hottest Trends. Por todo lo alto. La sintonia de tonalidades neutras, y las notas vivas y llenas de color se apoderan..
A Heartfelt Thank You to the design luminaries behind KidSanctuary Campus. We wanted to produce something fresh, new and unseen and make it modern. In Sight designed to expand your vision: Moray Side Accent Table. Lover of Color, Modernity. Owner and Designers Click to Create Luxurious Sanctuary. With clean white palettes, this beautiful home speaks a dialogue that is, in a word, Miami. 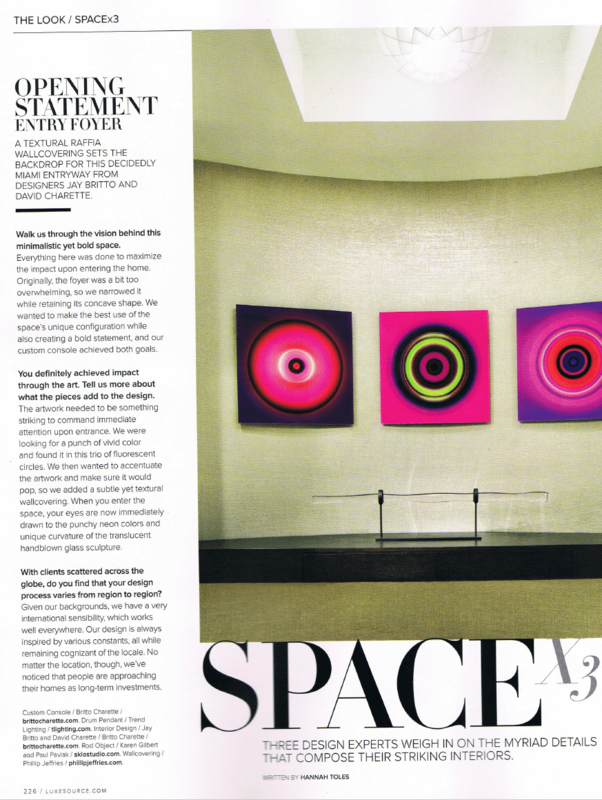 Interiors features Britto Charette’s Majestic Bal Harbour Project. Grandes de la arquitectura: casas que se han convertido en iconos de todos los tiempos. Britto Charette ha creado este ambiente en honor a las manos peruanas y su excelencia. Copyright Tous droits réservés ©2014 Développé par Victor Coronel - Roungrid, Inc.